At this moment of the autumn, the sowing season has begun in our area... we can see a few spreader and seed drills on our village roads. This campaign, we've a difficult situation because it hasn't rained since May (it only rained 7mm on the first days of October). 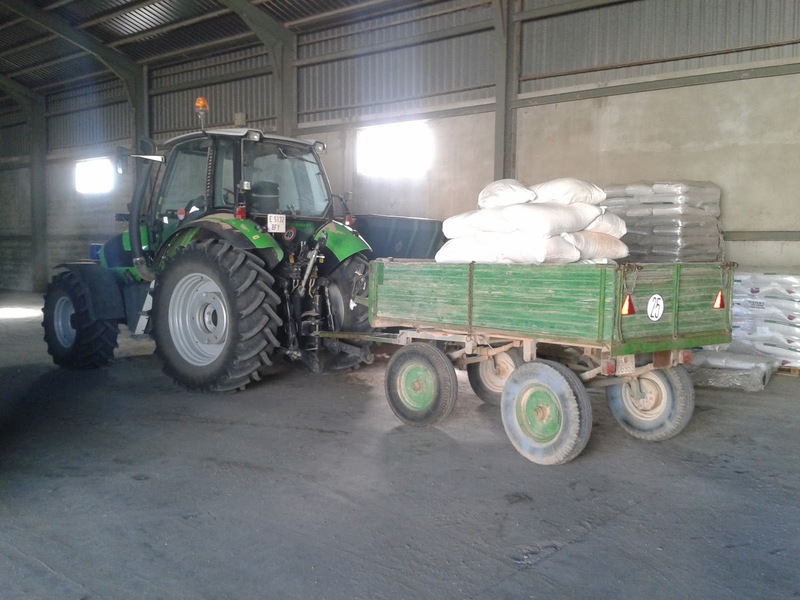 Farmers are preparing their fields to fertilize and sow, but there is too much uncertainty because we don't know if beginning with these tasks is a good idea or instead we should wait a few days until the rain so that we can work with the soil in appropriate conditions at this time of year. 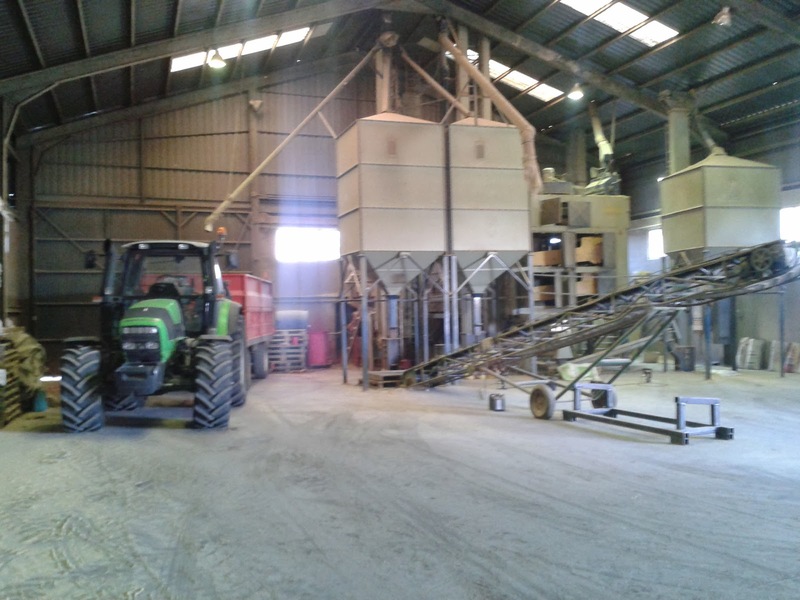 These days, we're cleaning our barley which is going to be sowed on next days. This job is quickly but we need an appointment to carry it out because a lot of farmers are also performing the same task at these days. 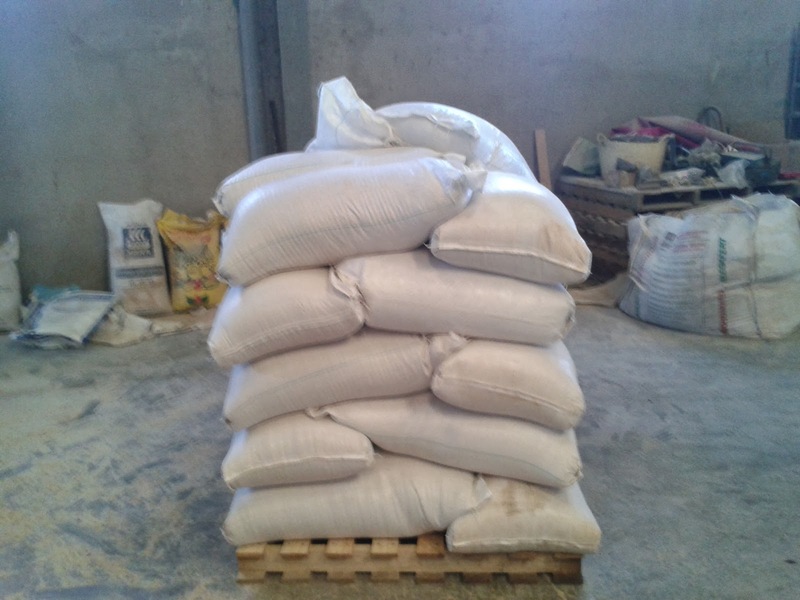 After that, barley is ready to be sowed and impurities (about 10%) are put in bags of 50kg... it will be feed for our chickens (together with compound feed, corn and wheat too). We haven't begun to fertilizing. 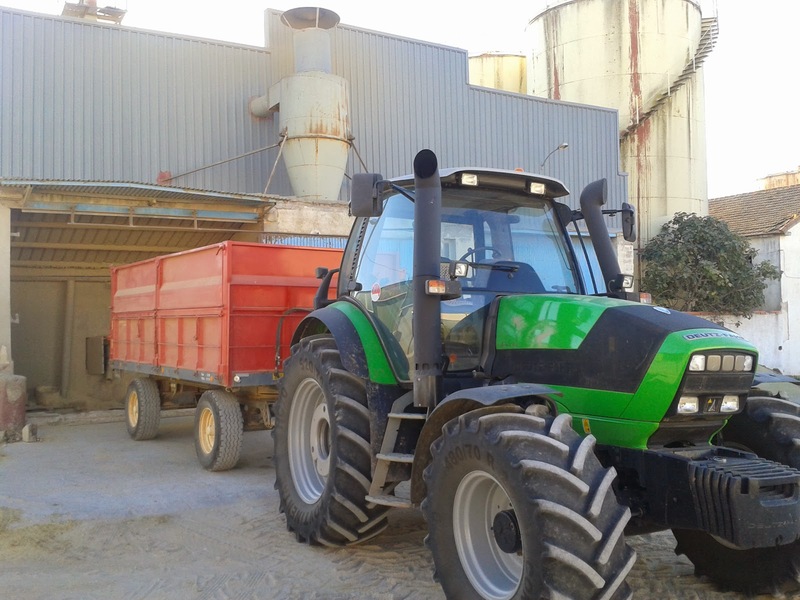 Our fields are ready to be fertilized and sowed, so we'll start these tasks on next days. The pictures about fertilizing are about other farmers in our village. In your posts is difficult to find inside photos, and they are interesting too. Besides, I like seeing other people tasks. En vuestros posts es difícil encontrar fotos y tareas que se lleven a cabo en interior.Como os digo siempre, me gusta ver tareas de otra gente. We like seeing other farmer tasks too. A nosotros también nos gusta ver a otros agricultores como trabajan.